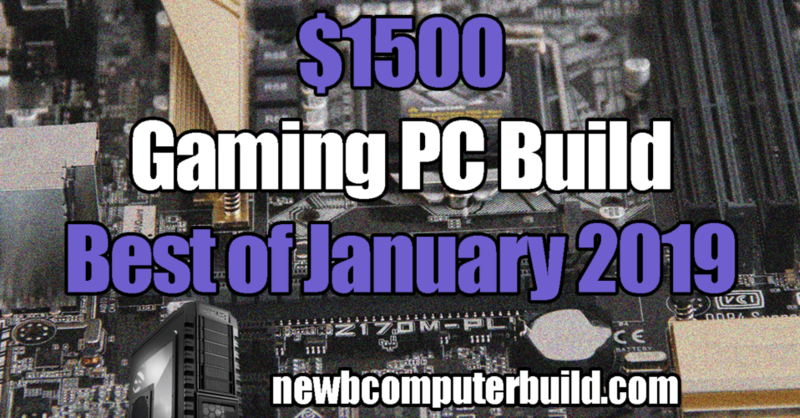 Build the best $1500 gaming pc build this February 2019. This PC will perform great at 4k,1440p or 1080p with high FPS in most PC games out there. Here’s the best February 2019 $1000 gaming pc build.This build includes the RTX 2060 graphics card and an Intel i5 8500 CPU. Play pc games at 1440p and high fps 1080p. Building a viable $500 gaming pc may seem like a lofty goal, however, you can build a decent pc worthy of gaming. Here is the best $500 gaming pc build for February 2019 — this build is for those builders who just want a no-frills pc and just get up and playing the games they love. In the $500 budget range, you can expect to play PC games scaled down at 1920×1080 resolutions, with room for upgrades. If you are in the market for the best possible pc build for $700 this February 2019, then here it is. The $700 pc build is for those who want a budget pc build capable of playing games really well at 1920×1080 / standard HD resolutions. This is would be the perfect build for those wanting to outperform any console out there without a hiccup with plenty of room for upgrades in the future. Looking to build a build a budget gaming pc for just $500? It’s not always the easiest to find the best possible hardware for your gaming pc build, and in the lower budget ranges, there is no exception. $500 is for those builders who just want to build a no-frills pc and just get up and playing the games they love. In the $500 budget range, you can expect to play PC games scaled down at 1920×1080 resolutions. Here you will find the best possible $1000 gaming pc build up to date as of January 2019. The $1000 gaming build is for those who want the sweet spot in terms of performance per dollar spent. This build should get you great gameplay on any 1080p resolution monitor gameplay and play well into 2K resolutions. This is the best possible $700 gaming pc build up to date for January 2019. The $700 pc build is for those wanting to get up and running with a budget pc build capable of playing games really well at 1920×1080 resolutions. This is would be the perfect build for those wanting to outperform any console out there without a hiccup with plenty of room for upgrades in the future. This is the best possible $1500 gaming pc build up to date for January 2019. The $1500 gaming pc build is for those wanting to game on the highest of resolutions and expect high-end gameplay. The $1500 gaming pc is best capable of resolutions of 2K with high FPS gameplay and into 4K smoothly. This build is on the very high-end of gaming, and also offers the potential for more upgrades for now or in the future.